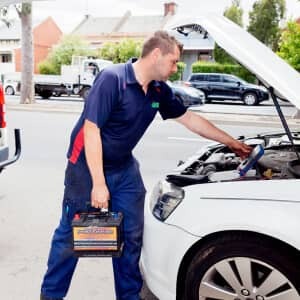 We take pride in offering inner Melbourne with the best mechanical and auto electrical services available. We take pride in keeping our workshop and call out vehicles up to date with the latest electronic diagnostics equipment. Our highly skilled staff are constantly training, keeping updated with the latest industry techniques and manufacturer guidelines, so we can give you the best car service available. We’ll always explain to you exactly what your car needs and how we’re going to go about repairing it, so you’ll never come up against any unexpected parts or labour costs. We’re a VicRoads Licensed Vehicle Tester, licensed to perform roadworthy checks on light vehicles with both petrol and LPG engines. Our license no. is 10701 LVLP. We’re also an ARC licensed automotive air conditioning repairer (AU26165), and licensed with the AAFRB for LPG repairs and conversions (AFR001191). We’re a VACC member. For more information or to get all your car questions answered, contact us today.